In the original Hans Christian Andersen tale, an emperor unwittingly hires two swindlers to create a new suit of clothes for him. The two swindlers promise him the finest suit of clothes from the most beautiful cloth. This cloth, they tell him, is invisible to anyone who was either stupid or unfit for his position. The Emperor cannot see the (non-existent) cloth, but pretends that he can for fear of appearing stupid; his ministers do the same. 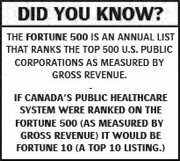 In our Canadian reality, the “finest suit of clothes” being promised is apparently the current state of a Provincial and National Electronic Health Record (EHR.) The metaphorical 'Emperor' can pretend whatever they like, as can his ministers, however — the lack of a “suit of clothes” or in our case, the lack of any real, measurable progress in extending an EHR needs to be addressed and parties held accountable. When the small child cries out, "But he has nothing on" and the crowd realizes the child is telling the truth and begin laughing—--it’s likely time to make some changes. 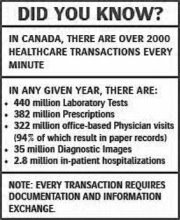 As evidence of the satirical (vendor-driven) state of Electronic Health Records today---I give you http://seedie.org. SEEDIE, the Society for Exorbitantly Expensive and Difficult to Implement EHR’s, is a healthcare IT standards organization that is completely funded and operated by a select group of proprietary electronic health record vendors. Unlike independent, objective, professional organizations created to help medical professionals select and implement interoperable EHR solutions, SEEDIE promotes healthcare IT systems that play well in the sandbox if, and only if, it is in the best interests of a particular vendor. While the other groups argue endlessly about which standards are most appropriate in pursuit of “plug and play” solutions, SEEDIE recognizes that data exchange should only occur after a lengthy and expensive custom integration process. Further, that integration should require ongoing technical support from multiple vendors.